Closed–cell PVC sponge matting provides excellent leg and back support and reduces discomfort from standing for long periods of time. Slip–resistant, directional ribbed–top surface contributes to a safe work area. Protects floors while shielding falling tools from damage. Has all 4 sides beveled and sealed. For dry, light–to–medium–duty work areas. 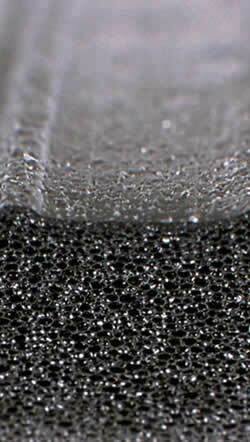 Made in U.S.A.
- PVC closed cell foam relieves leg and back discomfort; provides a barrier to cold floors. 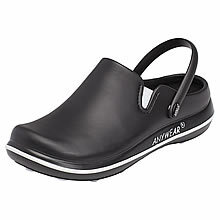 - Ribbed design provides traction and is easy to clean. - All four sides are beveled and sealed eliminating the danger of tripping. - Insulates against cold floors, reduces noise and minimizes breakage. Airug showcases an improved embossed top surface that enhances the mat’s slip resistance while providing increased worker fatigue relief. The PVC closed cell foam construction relieves leg and back discomfort while providing a barrier to cold floors. Airug is intended for applications where basic anti-fatigue relief is required at a low cost.